DIY Crowdfunding is becoming an increasingly popular choice for those seeking to raise funds for the organisation or project. In this process crowdfunders choose to host their campaign themselves rather than use one of the well known crowdfunding platforms. As organisations come increasingly to understand the value of their crowd assets and social capital we will see this choice being made more and more, and a whole industry is already emerging to provide the tools and services that help make this possible. Amongst the frontrunners in that at present is a WordPress plugin called IgnitionDeck developed by Virtuous Giant. It is an increasingly sophisticated tool that has already helped raise many millions of dollars for thousands of projects. We had the chance to speak to a co founder of Virtuous Giant Nathan Hangen and asked him about the past present and future of Ignition Deck. We recorded the interview and offer it here as a podcast, an MP3 download or streamed for your use and the full transcript is below. 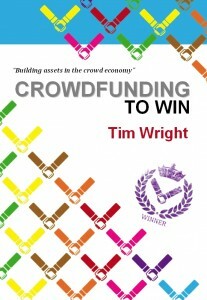 Our report detailing the fascinating sector of DIY crowdfunding is available here. Alright although its morning your time isn’t it? Nathan you are based in Florida – is that right? Okay and you’re a man with a finger in a number of pies – Virtuous Giant is one of them and its from Virtuous Giant that IgnitionDeck came – is that right? And then you decided to create IgnitionDeck. What was the thinking behind the production of IgnitionDeck, what made you go down that path? Well we had a couple of games and iPhone apps out that were doing well and we had a game concept for the iPad and we had another friend who was a musician out in California and the three of us wanted to get together and build this iPad game. And we heard about crowdfunding and thought we would do a Kickstarter and I started the application and I got about halfway through that and something about the application just turned me off. So I thought I would look for a WordPress crowdfunding solution – so basically Kickstarter for wordpress and it didn’t exist! So we put that off for a while whilst we went round the country a little trying to raise money for the game and that didn’t work out. So we came back and thought we would look again for that solution and it still didnt exist and so at that point we built it. We actually at the time, because I was doing a lot of iOS stuff, hired a developer to help us to build something that we could use for ourselves to raise money for the game and in the end we had so much interest that it changed quite a bit and so the game never saw the light of day. Okay so thats one for another day? So when did IgnitionDeck first become available, what was the date at which people could start using it? Okay and what was the response? We had quite a bit of early interest. We had a little email form up and people could sign up before we released it and I think we had maybe 200 people on the list before we launched and I would say more than 50% of them purchased and we gave them a discount for the beta release. And since then we have gained traction every single month. It took us a little over a year to reach our first 1000 customers and it kind of started to snowball after that. How big is the install base now – do you have any idea? Thats amazing and you mentioned there that you have extended the product so now its got theming elements so you can present it in different ways, and there is a range of extensions isn’t there? Yes. We thought we would just build this plugin and be done with it. We would sell it and support it and move on to other things. But people kept asking for more and more features and, as you know, crowdfunding is an industry that’s changing every day and growing very quickly. So things like stretch goals, people had created that on the fly in Kickstarter, so we thought lets build a stretch goals extension and additional gateways and we just keep listening to customers and kept trying to build things that made sense. We don’t put them in the core product because we don’t want to make it too big and bloated but we do enjoy adding things on. And some of third party things in there so you have Stripe, and Bitcoin and Constant Contact and some of the important names there in the associated services and functions of crowdfunding. Do they come to you or do you go to them? Well most of it is a customer request on our forms saying “Have you thought about integrating with this…?” and we wait to see how many people say the same thing and if a lot say it we build it. Or I really like Stripe and their api is gorgeous and so that is one that I set out to use. So most are requested by customers over a period of a couple of months, but if we see a neat product or payment system we will go out and build it. Going back to your install base, are you mainly shipping to US or are you aware of it going further and it being used in any other geographies? And have you got plenty in the UK? Amazing – and do you have a feel for the sort of amount of money that has been raised through your extraordinary plugin? Course you obviously have got one very high profile and extraordinarily successful user in Star Citizen but beyond that do you have a feel for what this is generating for people? Well it goes all over the spectrum. We have some bands that have used it to raise $3000 to make an album or $5000. There is an open source analytics programme called Piwick who are crowdfunding each feature one at a time each one being a few thousand. Then you have a documentary called Sirius that raised… gosh – 3 or $400,000. The Precinct game had a Kickstarter and the used IgnitionDeck to raise a couple of hundred thousand dollars. And we are getting ready to launch a project called SkiNation featuring a team of olympic and x-games skiers who are building an app for skiers and they are seeking to raise about $300,000 so its really all over the place. That is extraordinary and you mentioned there this idea of people running a campaign on another platform like Kickstarter and then they are sort of jumping ship from that and then running another one Star Citizen being the same having run a successful fund on one of the big platforms and now they are using IgnitionDeck. Are you finding that is something more common or are people just starting from scratch with IgnitionDeck saying we will just do it ourselves? And IgnitionDeck allow you to fulfill lots of different styles of crowdfunding, so you have the “keep it all” and “all or nothing” models but you seem to be able to accommodate most configurations within a crowdfunding model. That’s correct. We started off with a level base then we offered “pay what you want” because that is another thing people wanted. And of course now the big thing is equity and a lot of people are asking us about how we could do equity or something besides money so we are figuring out how to approach that. But really we want to be a tool that people can use no matter what they are trying to do. We figure the more options we provide people the more useful we become. We are really in it because we are entrepreneurs and we developed it because we needed to raise money, so anyway we can help other entrepreneurs we are into that. Yes that is pretty good. So on a technical level how does it work. In effect you install the plugin onto your WordPress site and then does it back end into some of you payment and settlement systems or does it buy pass you guys completely and go straight to the settlement providers? And what do you think are the motivations that are driving people to go down the DIY path? I think there’s a lot to it. I think first of all I know a lot of people who thought they could go on Kickstarter and because it is popular and because everyone knows about it their project would get found out and traffic would come to them and it doesn’t work that way. Kickstarter don’t make a big deal about the folks who fail but there is a lot of them and it really crushes people when that happens. I think one of the nice things about IgnitionDeck is that you don’t have to go through an application process you can just get started right away, create your own rules and you can raise money for as long as you want. If you don’t meet your goal you can tweak your project and do it again, and if you need to extend your date you can extend your date. We don’t encourage anything that is not ethical but people can do it their own way and the platform really suites that especially when you don’t have to pay an extra 5% – why pay that if you don’t have to? So go on tell me how much does it cost currently? Right now IgnitionDeck is $79 for updates and support for a year and you can get all the extensions for $20 a month. But otherwise they range from about $19 to around $49 for payment gateways and those are all yearly licences. Beyond that we are launching an enterprise product called IgnitionDeck Eenterprise and that is $199 during preorder – which is now – and it will eventually be $499. We had a lot of requests for people wanting to build their own white label product or platform and we didn’t want to build that into the core product because from a technical standpoint we could make it work but in the back end it would not be pretty and we wanted to keep our core product doing what it does. So IgnitionDeck Enterprise will be basically a white label platform product that allows you to work on WordPress multisite. Also you can have a membership site or something like that . It will have Stripe connect that will allow you to charge money or a fee on top of every payment that comes in, it will allow people to submit projects from the front end and an admin can approve them. It will have integration with FirstGiving, this is really big with charities as the donations go straight through there and they don’t touch an intermediary which is important when you are dealing with that kind of business and cash flow. So things like that and we are going to continue iterating on that as we see fit. But its basically going to be designed for multiple projects and running a platform rather than running a single project. And what is the timeline for that being available? Okay. Do you get a feeling that there is a particular sector that is more inclined to run DIY or is it like most crowdfunding, across the board? Okay. So what, for your money, are the upsides and what are the downsides of doing your own crowdfunding rather than going on one of the platforms? I think if you are going to do it yourself you really need to be prepared. We work with a lot of clients who by the end of it we usually end up in pretty good shape. But they come in just thinking they are going to crowdfund and they have a rough idea but you have really got to put in a ton of time. And that is one of the things that the Kickstarter application does it helps you refine your campaign based on what works on their platform. So if you are going to do it yourself you are going to have to study what works well everywhere and it never hurts to have a base already on social media or email lists. The most successful people with our product already have social media or email followers and I think its important. You can start a campaign and let it go slowly but you’ve got to keep working. But if you don’t have an audience you are foolish to expect that in 30 days you are going to have your money unless you get a surge in press or something like that. We stress this a lot. Its a lot of our work in helping people prepare for crowdfunding campaigns. We won’t run the campaign for them, we think that is quite wrong, but preparation is the key and we run people through what we refer to as the TAMP process to get them prepared for their campaign and I think a lot of them, before they have done it, don’t realise how many things they have got to consider and how much work they have got to do to prepare the grounds for a successful fund, particularly if its a big fund. So what is next for IgnitionDeck? Obviously you have the enterprise solution coming which will keep you busy but are there more extensions going to be coming out and what sort of look to the future can you give us? Well as I mentioned the Fund the Future page we are taking pre orders for the extensions so it depends what will come first but Amazon payments is getting requests for, Ideal payments which is popular in the Netherlands, Paymill which is a popular gateway in Europe – very similar to Stripe, so these are some of the things we are working on. We are also getting ready to release a membership plugin for WordPress called Member Deck which will essentially function on its own and will be included in IgnitionDeck Enterprise but if you want to use IgnitionDeck with membership it has an integration with IgnitionDeck. We will be launching that this month. What we really want to do is build tools that help entrepreneurs and so we have payments taken care of, we have a lot of the basics done so what we want to do is build a great experience working on themes and we want to build powerful analytical and communications tools so people can know their audience and make the most of it. So for example you have just finished with Kickstarter and and you have this CSV file with all of your customers – what do you do with that? So we want to help people in that situation and that will take us to the next level. So CRM tools and that you can plug into so you can up-sell and cross-sell and all that good stuff? Exactly – to help people build a real business and part of that is taking pre orders so we are working on that.